Successful carp angling can be likened to a jigsaw puzzle. The pieces represent location, watercraft, choosing the correct bait and baiting strategy, combining that bait with an efficient terminal rig and finally putting that last piece of the jigsaw in place, deciding on the most effective tactic and technique. 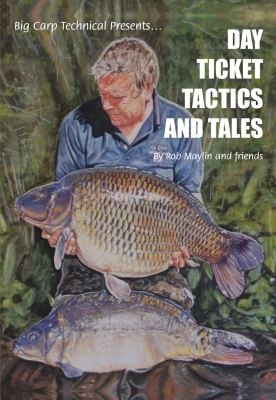 The “Big Carp Technical” series of books was designed to give you the optimum chance of putting all those pieces in the right place. There is no shortcut to the information within these covers. It has been accumulated by years of hard work and extreme effort by some of the best carp anglers the UK has ever seen, not chosen at random, but chosen because they are experts in their own dedicated fields. Since our seasons are very different in many respects: light intensities, temperatures, length of days, winds, pressures etc, seasonal tactics and techniques is a very wide and extensive subject – too wide for one volume alone. The first Seasonal Tactics and Techniques book covered warm weather carp angling techniques, the tactics our experts would employ throughout the spring and summer, from spring zig rig fishing with Dave Lane, close season preparation and baiting up, making the most of the spring feed-up and capitalising on pre-spawning feeding periods, through to high air pressure summer fishing, low oxygen periods and summer floater fishing with Steve Briggs, Ed Betteridge and Rick Golder. 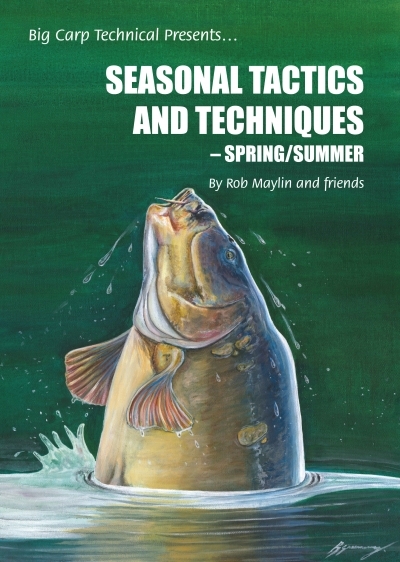 Combine this information with that of the other books in this series, Advanced Terminal Rigs, Bait and Baiting Strategies and Watercraft, and no venue should prove too testing, and consistent success will be inevitable during these seasons. 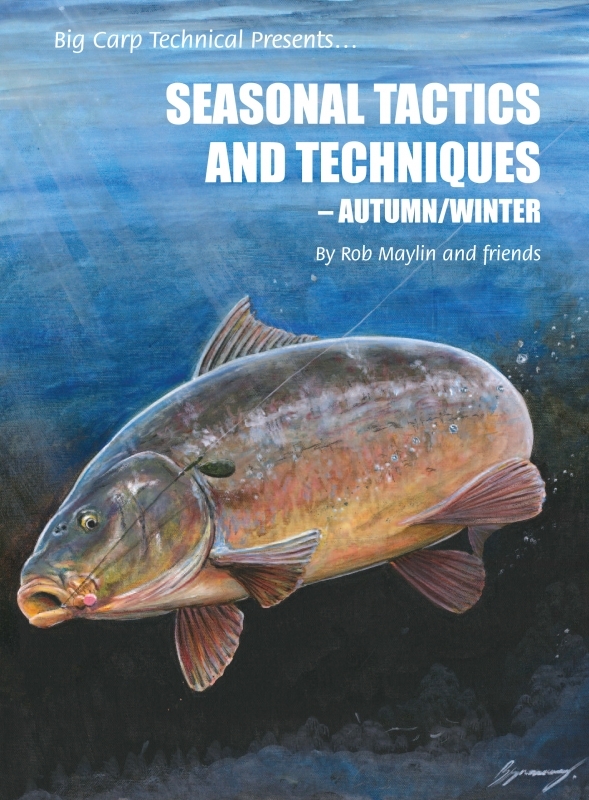 This the final book in this series published in 2016, “Seasonal Tactics and Techniques Autumn/Winter” will cover the cooler months of the year and the variety of methods necessary to succeed at some of the best and worst times of the year. This book covers the autumn feed-up after spawning as the carp feed with almost as much gusto as they did in the spring, this time to repair damaged body tissue caused when spawning and increasing body mass to carry them through the cold winter months. Winter can prove to be the most difficult season in which to consistently catch, but as long as temperatures stay above freezing and you follow the guidelines set out in this series of books there is always the chance of a fish, and what could be better than a huge, black, scaly warrior against a background of snow? All you need to know is here within these pages. 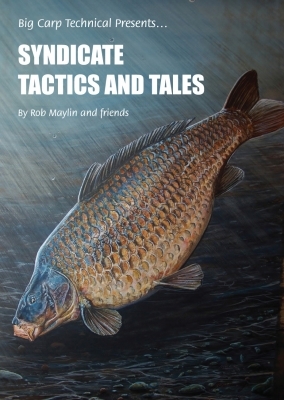 This is the book that will get you motivated to grab the rods and get on the bank no matter what the weather. As winter is the toughest month we have pulled out all the stops regarding edges and traps for low temperature carping, but remember these are cold-blooded creatures, and once temperatures drop below a certain level activity will be minimal. This means calorie burn will be minimal, which in turn means feeding to replace calories will also be minimal. It’s not rocket science; it’s simply the laws of nature. Take for instance reptiles, also cold blooded… My son Max has a bearded dragon in a vivarium. Turn up the thermostat and he's off hunting for grasshoppers; turn it down and he will sit motionless for hours, just as he would do in his native desert, hot during the day and cold at night. Chapters by Steve Briggs, Dave Little, Ed Betteridge, Dave Lane, Rick Golder, Mick Krassos and John Elmer will give you a wide spectrum of ideas and methods. Finally a special chapter from Sean Leverett and Ben Elgen on beginning a campaign on a new venue with an emphasis on watercraft will complete the A-Z of modern day carping, which is destined to become the true carp angler’s bible.